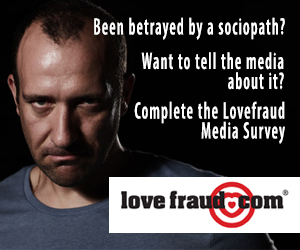 Save when you buy all 3 Lovefraud books! 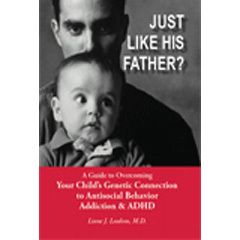 FREE Online Book Discussion — Wed. March 13, 8 pm ET. You’ll get your invitation with your purchase. 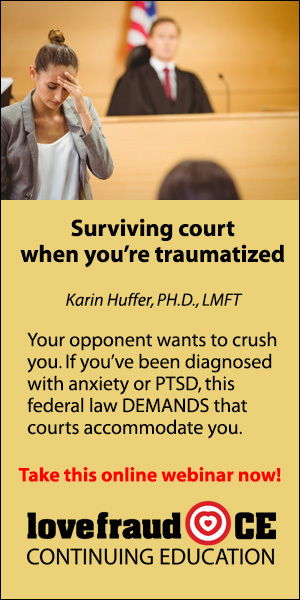 If you’ve been targeted by a sociopath, the Love Fraud collection will help you determine how it happened, why it happened, and how you can recover. The books are very different. 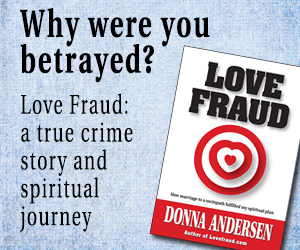 “Love Fraud” reads like a cross between a true crime novel and a spiritual journey. 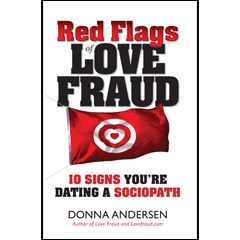 “Red Flags of Love Fraud” is a self-help book which explains the sociopathic personality disorder, how these social predators seduce their targets, and how to avoid them. 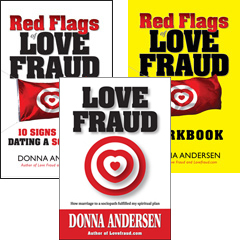 The “Red Flags of Love Fraud Workbook” enables you to assess your own vulnerabilities, so you can recognize when you’re being targeted and get out of the relationship before too much damage is done. 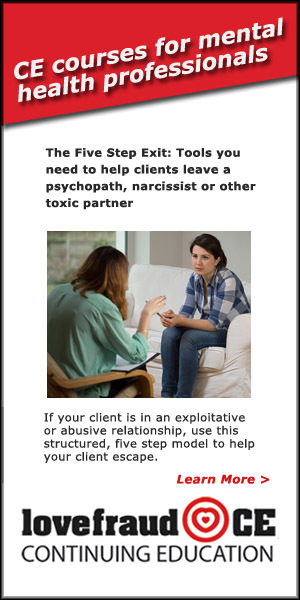 You suspect you may have a sociopath in your life. So what exactly does this mean? How did you get into this situation? What do you do now? 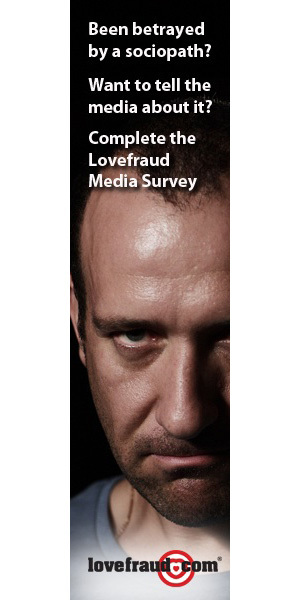 Find the answers in these three Lovefraud books. 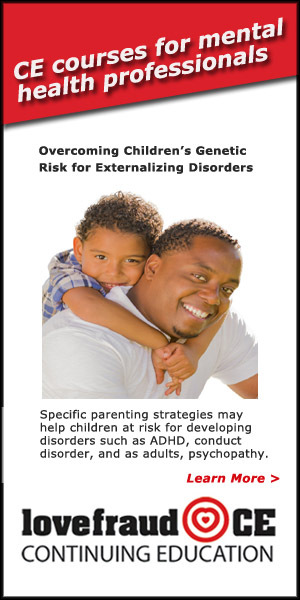 Choose ebooks for Kindle, ebooks for iPad / iPhone, or printed books (shipping is additional). Value $26.85 to $56.85. 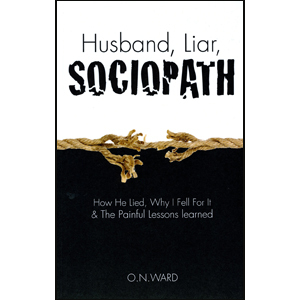 This self-help book explains the traits and characteristics of a sociopath — a social predator. 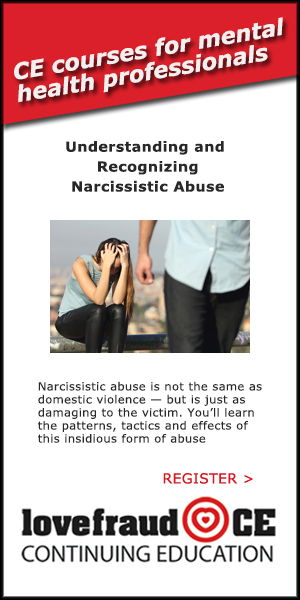 It includes hundreds of short examples from other people who were targeted. 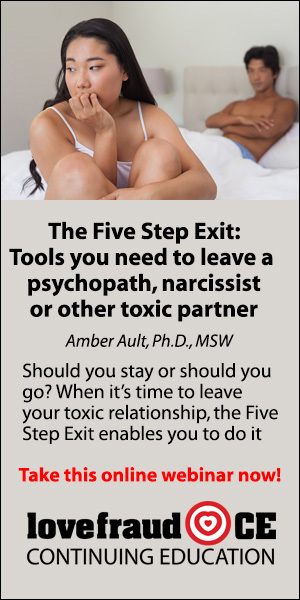 You’ll learn how you were hooked, how to escape, and how to keep yourself safe. 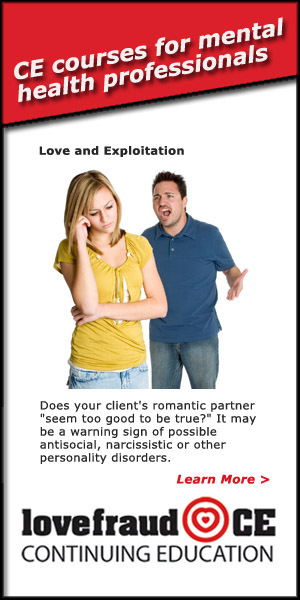 The scary truth is that sociopaths can’t seduce us without our own involvement. Why did you believe his or her story? 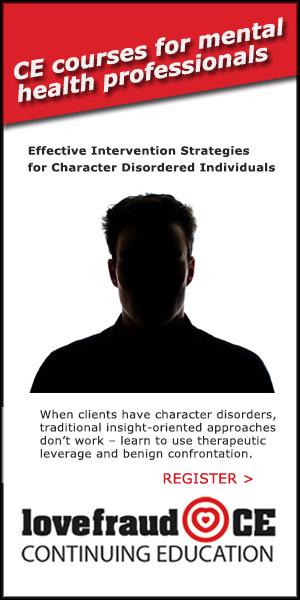 This compact workbook helps you identify your beliefs and traits that make you vulnerable to the sociopath. 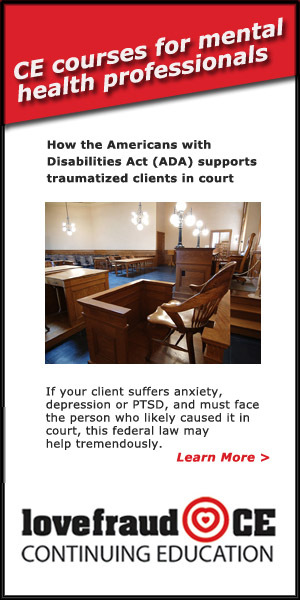 Donna Andersen describes her personal entanglement with a sociopath in this rich, gripping true story. 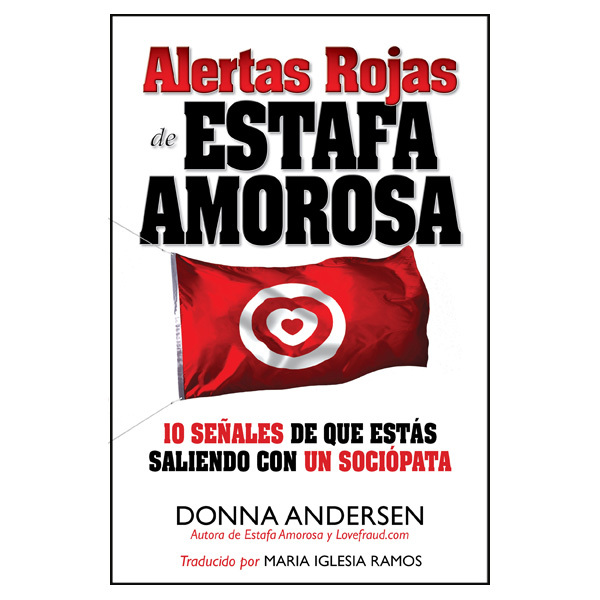 If you’ve dated or married your own social predator, this book validates your experience. 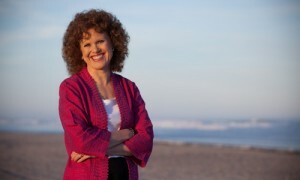 More importantly, Love Fraud helps you understand why the turmoil came into your life. 2 Comments on "Save when you buy all 3 Lovefraud books!"